DaHawaiianPressureWasher.com Honolulu Hawaii Pressure washing on Oahu, Mililani, Kaneohe, Wahiawa, Windward Oahu, Kapolei, Ewa beach, Waipahu, Pearl city, Manoa valley, Nuuanu - professional power washing service! reached via any of our contact information. 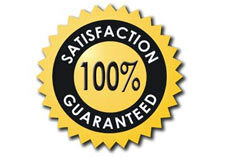 We will respond to your inquiry in a timely manner (within 24 hours of submission in most cases).